Ever noticed how you drag after a weekend of eating fried food and indulging in a few more alcoholic beverages than you normally do? I certainly do, and I’m the first to notice when I’ve gained even a single pound. Eating healthy takes more work and lots of self-discipline, but isn’t it worth it to look and feel better? I’m committing to making the change and fueling my body with what it needs to run (literally), and getting rid of the “bad” stuff. This does not mean that I actually think the wings and barbeque I had from Mac’s yesterday (yes, I had both) were bad, but they certainly aren’t the definition of clean eating. I spent time with family yesterday after dropping my husband off at the airport and didn’t make it to the grocery store. I am planning to go this afternoon and I’m including my shopping list (Clean Eating Groceries) for you – and a meal plan for the rest of the week. So far today, I’ve had two over-easy eggs and 1/2 of an avocado and a salad with grilled chicken, tomatoes, corn, black beans, onions and cilantro with lemon slices for the dressing. For dinner, I’m having left over ribs (thanks, Shelly & Doug) with sautéed garlic spinach and mushrooms. Since I plan on working out after work, I have a banana that I’ll have for a snack this afternoon. The grocery list is made based on what’s currently in my refrigerator and pantry, you’ll want to check your own before heading out to shop. Most of it is pretty self-explanatory and I’ve included recipes for those items that require more effort. If you’re not a fan of plain oatmeal, try the overnight oats recipe that I included. You’ll need a crock pot, ramekins and some time for most of these items, but it will be worth it at the end of the week when you’re already seeing a difference. 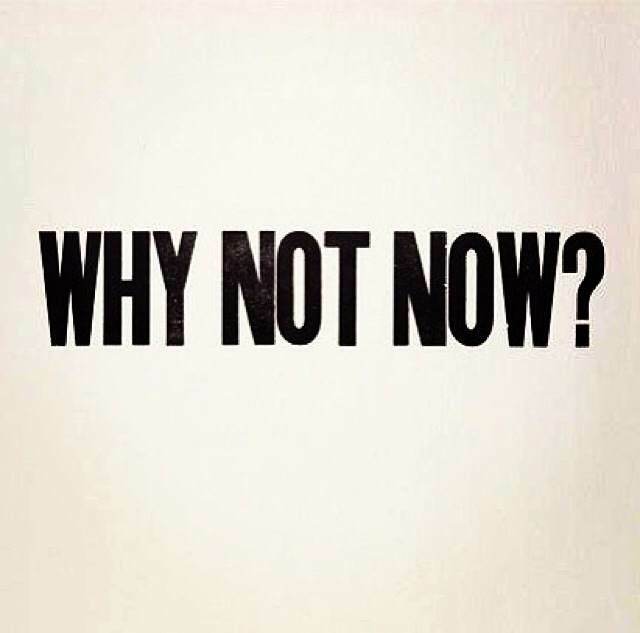 Instead of waiting until after next weekend, or until the beginning of a new month (or year), why not start now?